Over the last decade, educators veered away from rote learning as the dominant technique for children's education. New curriculum standards call for a greater emphasis on active learning, critical thinking, and communication, rather than the recall of facts to instill a greater love of learning in students and to improve test results in mathematics and science-related subjects. Now a new encyclopedia application designed and launched by Yoav Meyrav of Tel Aviv University's Philosophy Department and co-founder Inbal Miron-Bershteyn aims to channel a child's natural curiosity toward fun to enrich learning. Wiki-Kids, available now on the Apple App Store, is a tablet-formatted encyclopedia that offers curious kids a platform they can use to independently explore the world. The kids choose what they want to see next. "When I sat down to design the app, I was dreaming about my own kids," said Meyrav, who previously worked on the Hebrew Encyclopedia team. "The project isn't limited to one app. We are trying to spark a larger trend, a major change in the way we educate our children. Rather than encouraging their 'grade-digging,' we should be fostering their natural curiosity." Meyrav, who with TAU alumna Sharon Arad wrote the 240 entries in the ten categories featured on the app, did so with independent exploration—as opposed to information-dumping—as the single guiding objective. The entries contain carefully crafted text, friendly narration, colorful images, and bright sounds, offering four-to-eight-year-old children a unique tool with which to independently explore the world. The ten categories featured are animals, nature, countries, landmarks, food, space, the human body, musical instruments, occupations, and transportation. According to Miron-Bershteyn, whose idea it was to initially launch Wiki-Kids, almost anything can be explained to young children in fewer than 80 words (or 30 seconds of narration). What's more, said Meyrav, the app contextualizes any information presented. For example, a light tap on a tiger icon leads to one main descriptive entry and three accompanying engaging images—the countries in which tigers reside, the animals that tigers prey on, and tiger-related species. Meyrav worked closely with psychologists and literacy education experts when drafting the entries, which contain neither ads nor irrelevant links. The app was also certified by the kidSAFE Seal Program and Momswithapps. "This is not an encyclopedia that answers questions but rather leads to more questions," said Meyrav. "We want to inspire curiosity. The principles governing reference material for adults and kids are very different—just ask your own kids. They have to experience something to really understand it. "Once I relieved myself of the need to be relevant and to the point, my imagination let loose. Every entry became a challenge—to supply an entry point to more information instead of a mere fact. Ours is a 'tapas' encyclopedia, offering users a chance to sample all sorts of interesting things. We don't want to satisfy kids' appetite for learning. We want to encourage them to keep exploring," Meyrav said. 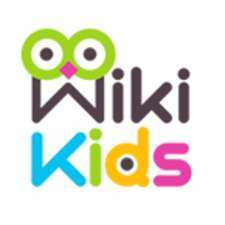 Wiki-Kids, available now in English, will be launched in a Hebrew-language version soon.